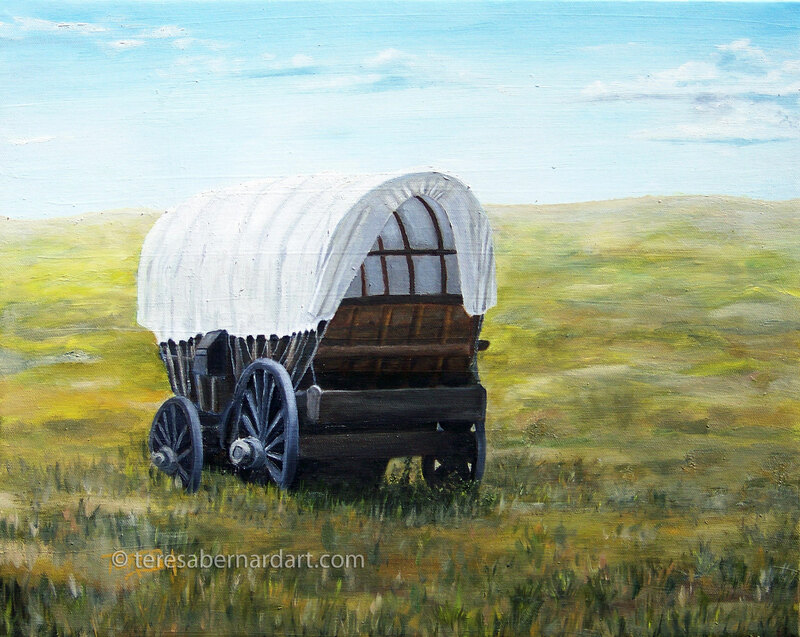 Artist Comments: Covered wagons and pioneers are one of the first things that come mind when I think of the Old West. 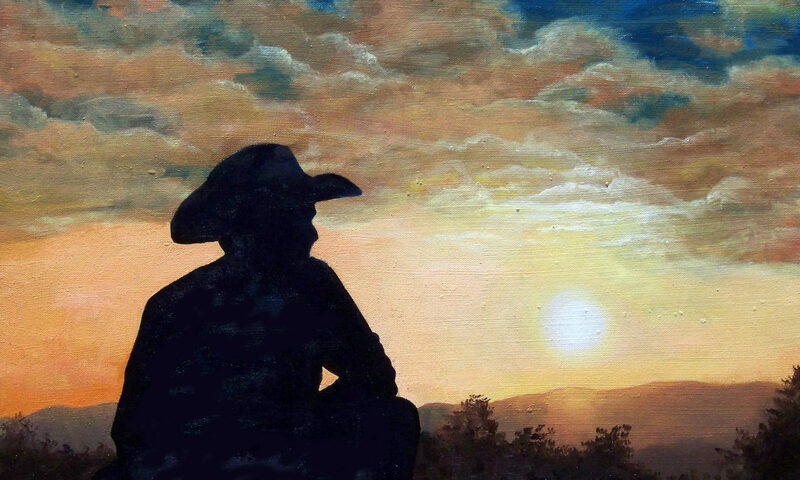 I love that sense of adventure and pioneering spirit that drove early settlers to pack up their family, mount a covered wagon and move across the Great Plains to settle out West. They are indeed an icon of the American Old West. Sometimes the covered wagon was also called a “prairie schooner” because the white canvas covers of the wagons crossing the prairies reminded some writers of the sails of a ship at sea.